WASHINGTON (CNS) — The president of the U.S. Conference of Catholic Bishops requested Oct. 2 that U.S. dioceses take up an emergency collection to help those devastated by Hurricane Florence and any other natural disasters that might occur the rest of the year. “We offer our prayers to families who have lost loved ones or are among those injured. As is often the case, the poor are the hardest hit by these conditions, but many will have immense unmet needs,” Cardinal Daniel N. DiNardo of Galveston-Houston said in a recent letter to the nation’s bishops. Excerpts from his letter were included in a USCCB news release about the need for this collection. 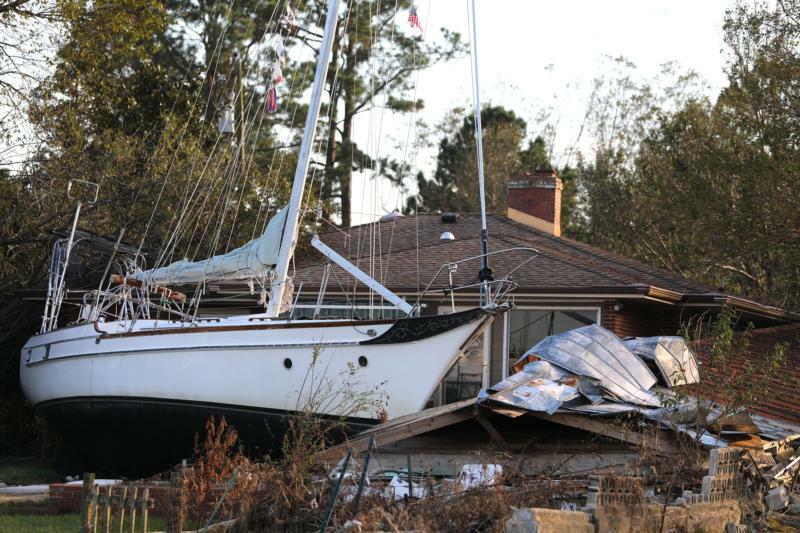 Funds will be used for “the humanitarian, long-term recovery and church needs arising from these storms,” Cardinal DiNardo said. Information about the Office of National Collections and its support of emergency relief efforts can be found at https://bit.ly/1DV1RGH. Initially, funds will be used to support the efforts of Catholic Charities USA as its staff and volunteers reach out to provide humanitarian aid in the form of water, food, shelter and medical care, as well as the agency’s long-term efforts to restore communities after widespread destruction, he explained. Also, funds will go to support the USCCB’s efforts to assist with pastoral and reconstruction aid to the church, Cardinal DiNardo said. “Humanitarian funds for any future disasters impacting communities outside the U.S. may be shared with Catholic Relief Services for its response efforts,” he added. “The traditional storm season has only just begun and already we have witnessed the devastating impact of Hurricane Florence in the Carolinas,” the cardinal said.